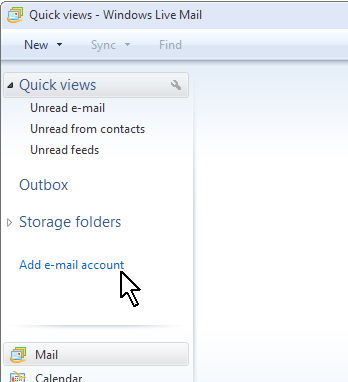 Click the "add e-mail account" link in the left hand pane. 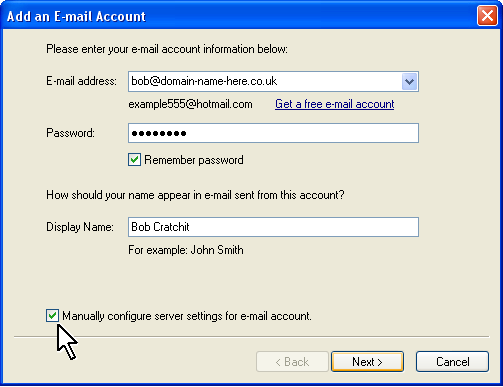 Enter your email address, password and display name. 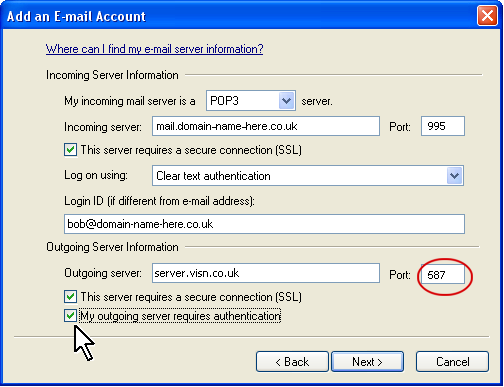 Tick the box for "manually configure server settings for email account" and click [NEXT]. Make sure there's no tick for "this server requires a secure connection (SSL)". Tick the box for "my outgoing server requires authentication"
Please bear in mind that the default settings for this program will leave mail on the server indefinitely and this WILL cause you problems in the future. 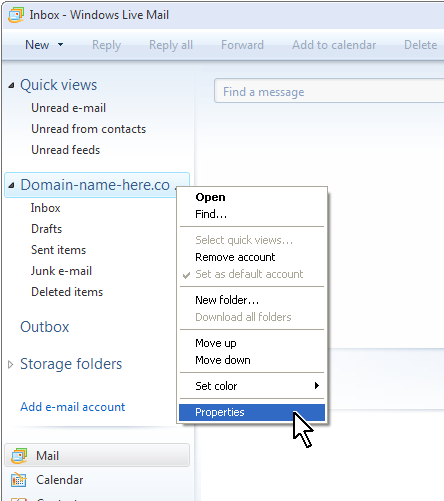 Therefore we recommend that you right-click over the account you've created and select properties. 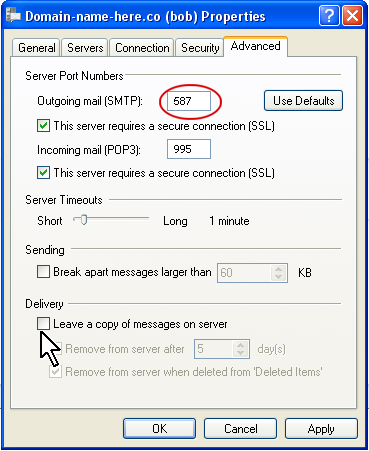 Next, go to the advanced tab, either remove the tick for leaving mail on the server or tick the box for remove after 5 days.